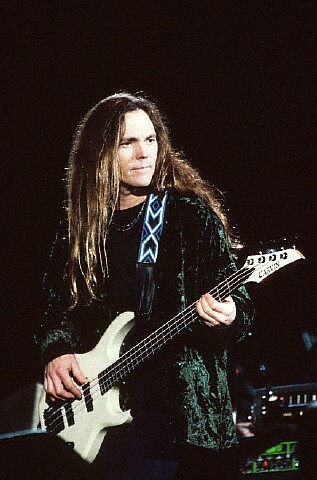 This website is about my favorite singer/songwriter/musician, Timothy B. Schmit. Timothy has been a member of the New Breed, Glad, Poco and currently, the Eagles. He has also toured with people such as Jimmy Buffett, Dan Fogelberg, and Ringo Starr's All Starr Band, as well as having sung backup on close to 150 albums by various artists. This website has information from the start of Timothy's career until 2001. For information from 2001 to the present, including lots of info on his new cd, EXPANDO, please see my FEED THE FIRE website. NEWS-OCT 20, 2009 - EXPANDO - Timothy's new cd is out! For more information check out Expando. Here are some Timothy related links you might be interested in. Jeddrah Timothy's daughter Jeddrah is a singer/songwriter/musician. You can order her cd at this website. Timothy is the executive producer of the cd and also sings backup on some songs. Robbin Thompson Check out singer songwriter Robbin Thompson's website. Timothy has sung on many of Robbin's albums, including his latest cd. Press release and Billboard article on Feed The Fire. This includes the press kits for Timothy's first 3 solo albums, 3 Eagles albums and several Poco albums. Information on Timothy's pre Poco career with the New Breed. NEW 8/2/2008 - 3 pages of New Breed Photos. Article on Poco from the book Rock People. 1976 interview from Guitar Player magazine. Interview from Sounds Magazine , 10/23/1976. Interview about the Indian Summer album from Crawdaddy magazine. Photos of the 1999-2000 New Years Eve concert, taken from the CNN video and the box set commercial. Photos from the 1978-80 timeframe. Info on the Democratic Fundraiser that Timothy took part in on September 14, 2000. Picturesleeves from Timothy's solo singles. These are still shots from Timothy's Was It Just The Moonlight video. These are still shots from Jimmy Buffett's Live By The Bay video from when Timothy was in the Coral Reefers Band. Photos of Timothy with Ringo Starr from the Live at Montreaux video and the Arsenio Hall show. Two pages of misc photos of Timothy. Some of my favorite photos from the Corbis website. Please feel free to email me with any questions, suggestions or comments.